More than £7.5billion has been spent on newbuild ships in the first quarter of the year. 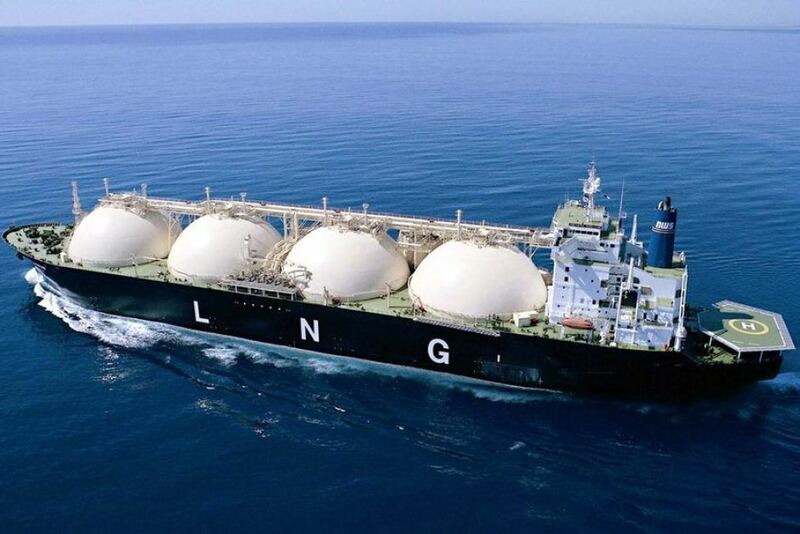 Analysts VesselsValue (VV) said order trends in the start of the year were in markets with the highest returns, including liquefied natural gas (LNG) and bulk carriers. VV said this shows it is easier to secure financing for ships in a strong market as opposed to those in “doldrums” like environment tankers. However, the enthusiasm for new builds has now started to wane with the amount of cash committed to new deliveries the lowest since the start of 2016. It is now down to less than £3billion. VV graph on money committed to newbuilds. The downturn has been blamed on higher asking prices from shipyards, higher steel prices and smaller workforces. However, VV argues that the slowdown in orders is an “encouraging sign” that over-ordering may not be a significant issue. The analysts said that if orders remain between £3billion and £6billion through the rest of the year, it should support the asset values of younger ships. There are currently 119 bulker newbuilds, 96 tankers and 22 LNG vessels. 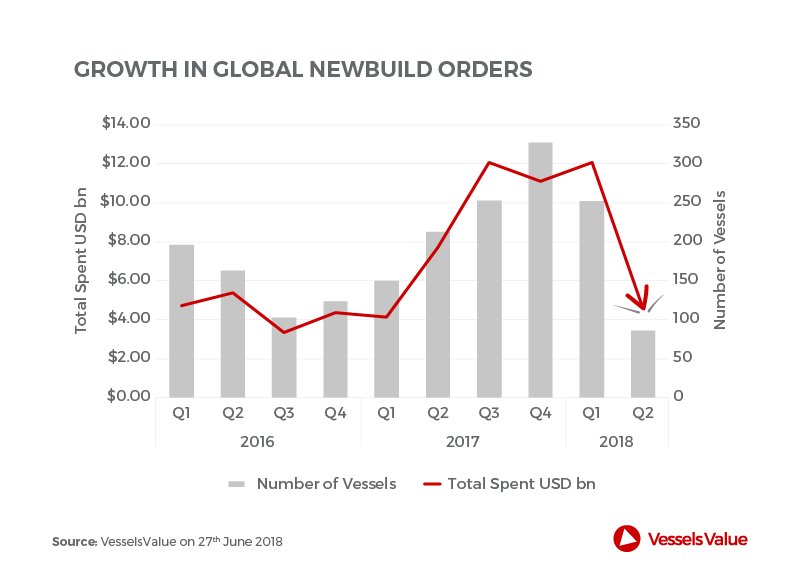 In a statement, Vessels Value said: “The headwinds to global trade may give some owners pause in fleet renewal plans, especially in the container and dry bulk markets which would be directly impacted by the higher prices for consumer goods which would result from tariffs.